Read on to learn about PlayGround Company Members' recent news, current happenings and upcoming events. Julia McNeal and Ron Kaell in the original short, Reunion. Louis Parnell just directed a reading of Kenn Rabin's Reunion at SF Playhouse that was very well-attended despite it being Halloween. Ignacio Zulueta's horror radio-play The Hound was podcast on iTunes following its live debut on KPFA 94.1FM on October 27. Free downloads of this tale of graverobbers gone wild, loosely adapted from H.P. Lovecraft, are available here. Last summer Alex Moggridge was a playwright in residence for the Berkeley Rep Summer Intensive, working closely with students to write two plays that they would perform on the Berkeley Rep Mainstage. M. Graham Smith directed a short play as part of A.C.T’s November 7 production of Standing on Ceremony: The Gay Marriage Plays. Reggie D. White was nominated for a "Broadway World" award (Best Featured Actor in a Musical) for his performance in Jon Tracy's musical, Born and Raised. Erin Bregman's play Tvá Kamila was a finalist for this year's Princess Grace Awards. Evelyn Jean Pine’s full-length play, Hephaestus and the Three Golden Robots, is being published by Exit Press as part of their anthology of plays from the First Annual SF Olympians Festival. Lee Sankowich is currently running a play at his theatre, The Zephyr, in LA that he produced and directed. The play, Moses Supposes, is by Ellen Melaver and stars Karen Black and David Proval. Ken Sonkin is directing California Conservatory Theatre’s production of the thriller Sleuth, which runs through November 27. For tickets, call (510) 632-8850. Katja Rivera is directing The Effect of Gamma Rays On Man-In-The-Moon Marigolds at Custom Made Theatre through December 10. 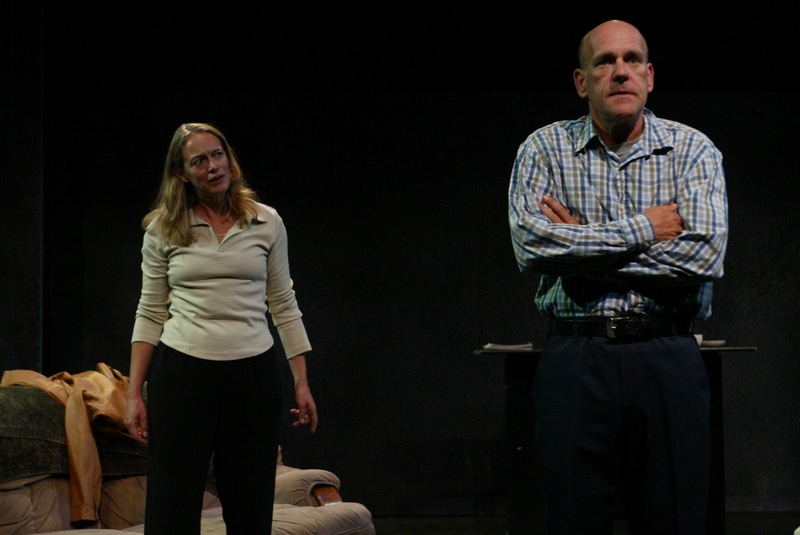 Nancy Carlin is performing in In The Maze of Our Own Lives at TJT through November 13. Trevor Allen's Working For The Mouse, which she directed, is running at the Exit Theatre through December 17. Reggie White is playing Joseph in the new Christmas show, Rejoice!, at the Lorraine Hansberry with Margo Hall. He’s currently performing in Annie at Berkeley Playhouse, directed by Mina Morita, which runs until December 4. George Maguire will be in a production of The Crucible set in the world of painter Andrew Wyeth's Helga series at Solano College Theater. Maguire is also featured as Santa in the film Hercules Saves Christmas which will be premiering world-wide on Animal Planet on December. PianoFight productions is re-mounting Daniel Heath’s choose-your-own-adventure-style Christmas play, A Merry Forking Christmas, for the third year in a row. The production will be opening in early December and running through the holidays. Louis Parnell will be directing the SF Playhouse/PlayGound co-production of Kenn Rabin’s Reunion this coming spring. Final casting is yet to be determined. As an actor, Louis Parnell will be performing in PlayGround Board Member A.J.Baker's The Right Thing at Thick House in March. Liam Vincent will be performing in A.C.T.’s A Christmas Carol. Brian Herndon will be participating in a staged reading of Tennesse Williams’ Camino Real, directed by M. Graham Smith, December 4 at Cutting Ball Theatre as part of their Hidden Classics series. Lizzie Calogero is playing the Ghost of Christmas Past in San Jose Rep's production of A Christmas Carol. The show, adapted from Dickens' original by Rick Lombardo, runs November 30-December 24. Michael Austin is in the upcoming Just Theater show, directed by Writers Pool member Jonathan Spector: The Internationalist by Anne Washburn, at The Ashby Stage in Berkeley, November 4-20. All shows Pay-What-You-Can. Patrick Alparone will be in Period of Adjustment at SF Playhouse, which opens November 19. Molly Noble is developing a play about restorative justice with playwright Kenn Rabin, actors Dawn Scott, Brian Rivera, Catherine Castellanos, PlayGround Company Members Cathleen Riddley and Aldo Billingslea, and the Men in Blue at San Quentin. Victims and Perpetrators are working together to bring healing to victims on both sides of the wall. First reading scheduled for December 17, 2011.